Dramatic dark sky and clouds. 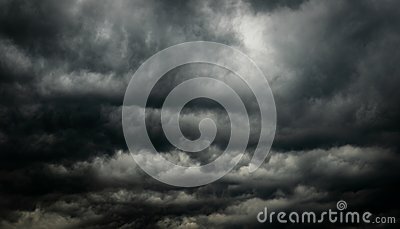 Cloudy sky background. Black sky before thunder storm and rain. Background for death, sad, grieving or depression.